The new book from Rob Woods & Locust Moon Press. Debuting at the Locust Moon Comics Festival on Oct 5, 2013. Cover photo of Rob’s drawing table by Kyle Cassidy. 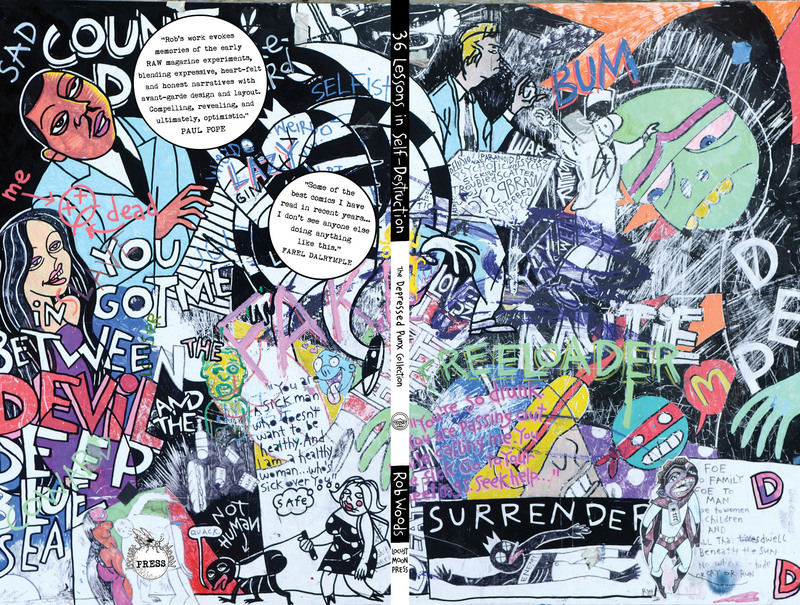 This entry was posted in Making Comics and tagged 36 lessons in self-destruction, depressed punx, farel dalrymple, kyle cassidy, locust moon press, paul pope, rob woods. Bookmark the permalink. are you considering putting your book on kindle? tariq, we will be — stay tuned for details. should be available in early 2014.